President Donald Trump has challenged the woman who has accused his Supreme Court nominee of sexual assault, demanding she provide evidence. Mr Trump questioned why law enforcement was not called at the time of the alleged assault, in 1982, if it was “as bad as she says”. The nomination of Brett Kavanaugh has been held up while the allegations of Christine Blasey Ford are assessed. Both have agreed to testify before a Senate committee. However, Prof Ford has set out conditions for her appearance which have yet to be agreed by the Senate Judiciary Committee. The committee must approve the nomination of Judge Kavanaugh before it passes to the full Senate for a vote. The choice of a new justice for the Supreme Court is pivotal, as it often gives the final word on highly contentious laws and its nine judges have an immense impact on US political life. In a series of tweets, the president again delivered his full support for Judge Kavanaugh, saying he was a “fine man, with an impeccable reputation”. Mr Trump also attacked “radical left wing politicians who don’t want to know the answers, they just want to destroy and delay”. The Senate Judiciary Committee vote on Judge Kavanaugh had originally been scheduled for Thursday. What was Prof Ford’s account? The details of the alleged assault at a gathering of teenagers at a house in Montgomery County, Maryland, were carried in the Washington Post this week when Prof Ford decided to reveal her identity and tell the story. She made it clear in the Post that she had told no-one of the incident in any detail until 2012 when she attended couples therapy with her husband. 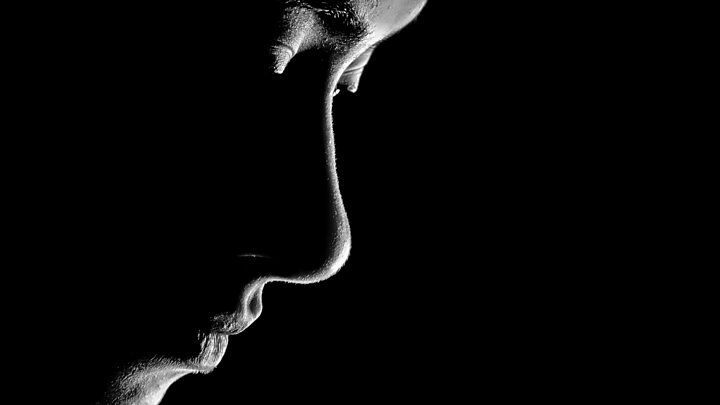 The psychology professor at Palo Alto University in California said she was being treated for what she said had been the long-term effects of the incident. She told a senior Democratic lawmaker of her allegation in a confidential letter this summer and only went public after it was leaked. Judge Kavanaugh has repeatedly denied the allegation. Donald Trump, much to the reported surprise of some in the White House, had largely held his tongue about the twists in the Brett Kavanaugh nomination. That ended on Friday morning. With his nominee in peril – the level of danger seems to vary by the hour – the president has now jumped into the debate with both feet. His suggestion that “loving” parents would have reported an alleged sexual assault to the police and implication that the incident may or may not be “as bad as she says” are exactly the kind of inflammatory statement some Republicans feared the president would feel drawn to make. The president’s comments will almost certainly help rally his base to Mr Kavanaugh’s defence. It could also damage support for the judge’s nomination – already fairly low – among women and independents who could cast key votes in the upcoming mid-term elections. In the end, however, what matters most for Mr Kavanaugh’s fate is how Mr Trump’s involvement affects Republican support in the Senate. The confirmation process is already hopelessly politicised, as Republicans accuse Democrats of bad-faith delay tactics and Democrats renew their call for a wider hearing process. The only thing that seems clear is that the process will get nastier before it’s all over. Where is the committee at now? Committee chairman Chuck Grassley had called for written testimony by this Friday from Prof Ford and scheduled a hearing on the matter for Monday. Her lawyer, Debra Katz, rejected this and in a phone call to the committee on Thursday spelled out her client’s conditions for testifying. Will the conditions be accepted? There are problems with at least three of the requests. The Senate Judiciary Committee would have to change the Monday hearing. Why is the US top court so important?? Meet the Supremes – who are the justices? Neither is it traditional for any subpoenas to be issued for the nomination process. 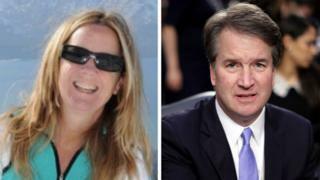 Prof Ford, Mr Kavanaugh and the judge’s wife have all been receiving threats, as the case becomes increasingly contentious. Fox News said it had obtained emails showing graphic and violent threats to Ashley Kavanaugh, who married the judge in 2004. But supporters of both Judge Kavanaugh and Prof Ford have also been vocal. A group of friends and former colleagues of the judge held a press briefing on Friday behind the banner #IStandWithBrett. 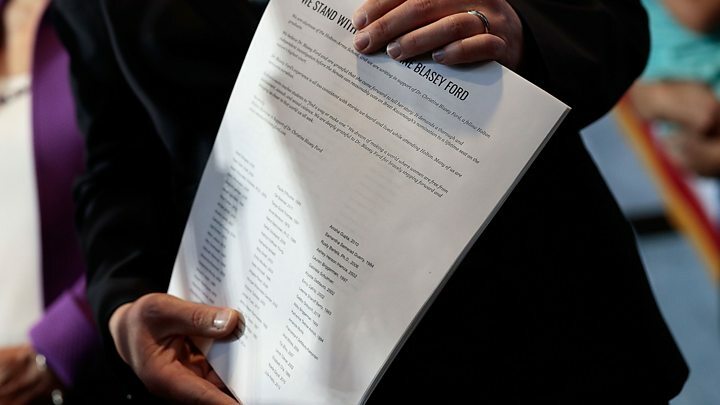 Twelve of Prof Ford’s family members have written an open letter, posted on Twitter, in which they call her “highly ethical”, adding that “her honesty is above reproach”. “Chrissy is not someone who chooses to be in the spotlight,” the letter said.